WHY MCX SILVER FALL RECORD LEVELS TODAY>>Silver down by Rs 41,000. Silver is a sharp decline in commodity today. MCX is the price dipped to around 3 per cent at currently. In previously it was dropped more than 4 percent & prices has touch the lower levels of 41,000. 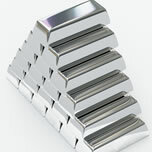 The live seems of the Indian market White metals silver is trading 1100 Rs lower against the last closing. However MCX Silver is trading rate are 41500 in July delivery. What is the Reason to go silver below? • Indeed Comax trader, so there is heavy selling in silver today. In fact silver has come down to around 5 dollar and stay on near to 22 dollar per ounce. • The sell-off in global markets grow Comax silver was down to 32-month low. Meanwhile, several brokerage houses in silver is predicted to fall by up to Rs 35,000. Tips for Trading:- Day trader can MCX Silver above at 41550 for July contract Targets 41650, 41750 Stop Loss 41350.